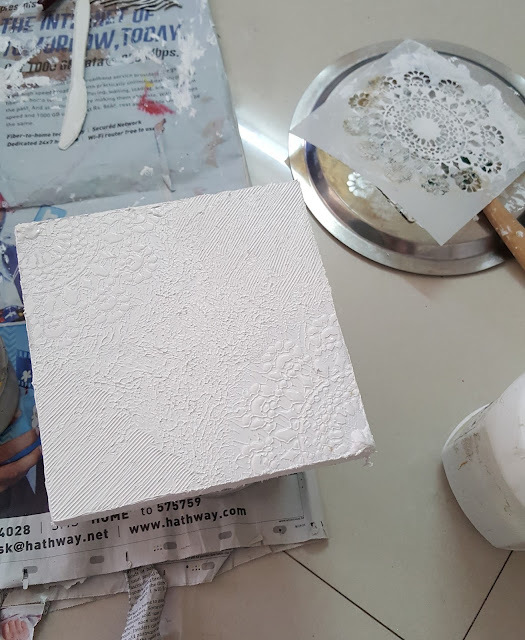 Today i would like to take you all through a mixed media box made with beautiful decoupage paper by Nakshathra Designz. 1. 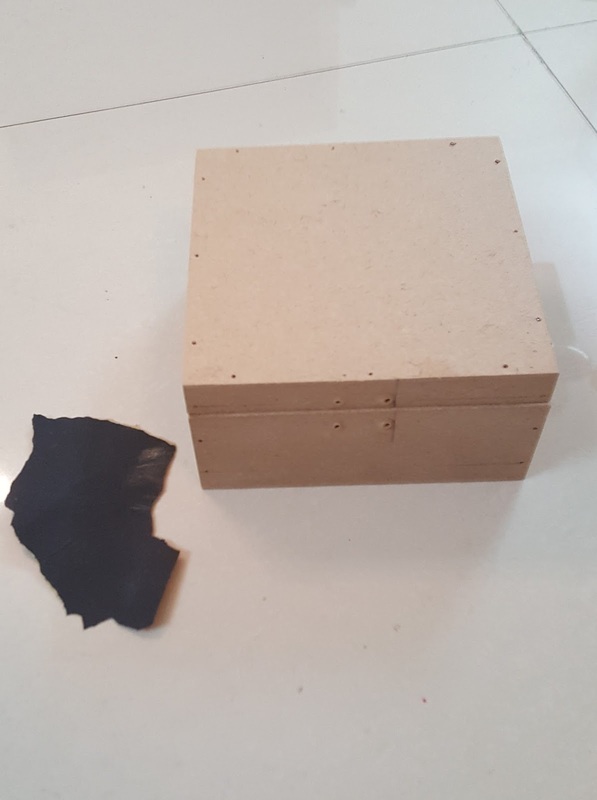 Sand the Box properly. 2. 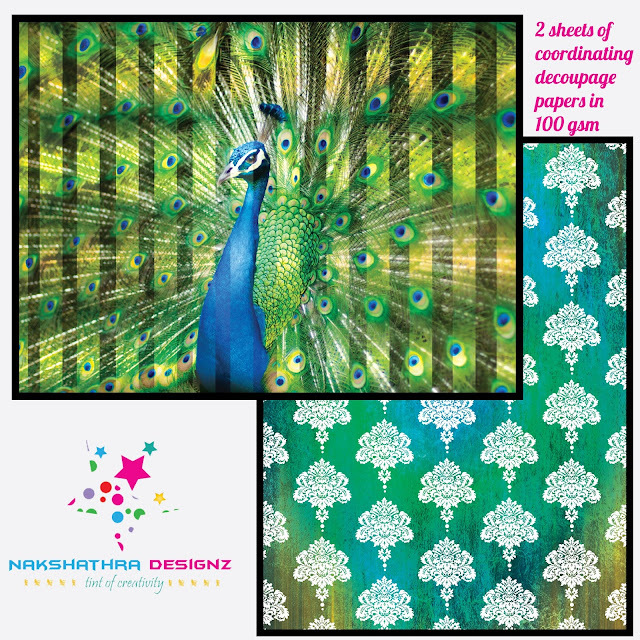 Colour inside of the box which goes with your paper design. 3. 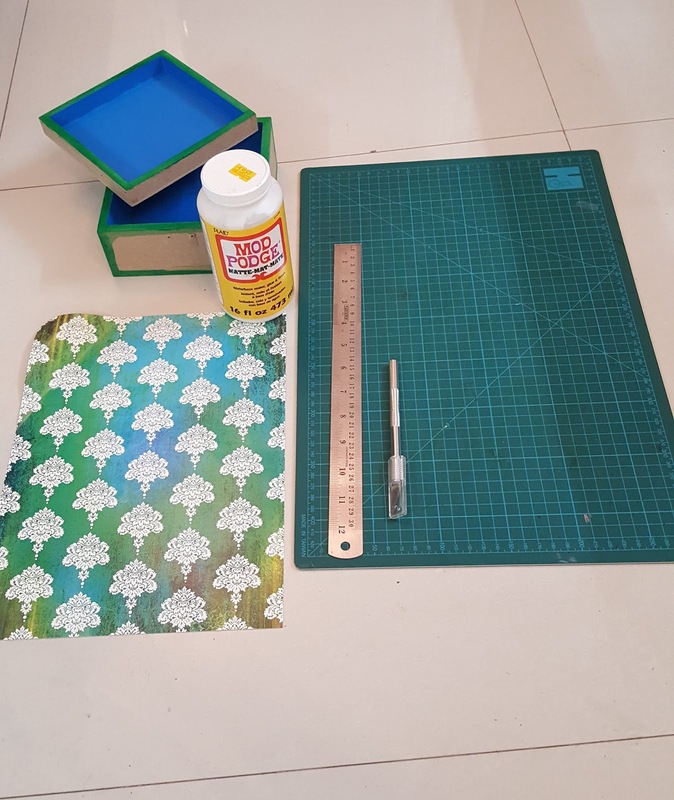 Once it is dry take the measurement of the sides of the box and cut the paper accordingly with the help of craft mat and cutter and adhere the paper on all sides with the help of modpodge. 4. 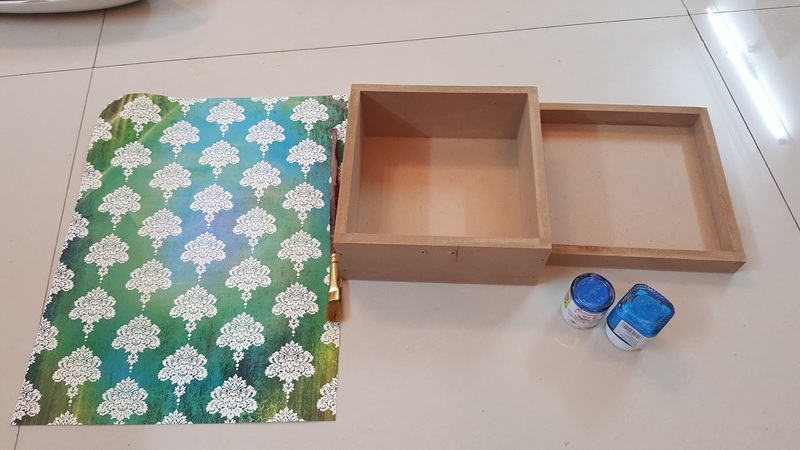 Once it is adhered apply a coat of modpodge on all the four sides of the box. 5. Now with the usage of texture paste and stencil do your desired design on top part of the lid. 6. Colour the lid with the desired shades.. i went with blue, green, yellow and gold acrylic colours. and i chose to stick peacock feather chipboard to complete the look of my box and applied two coats of varnish all over the box.